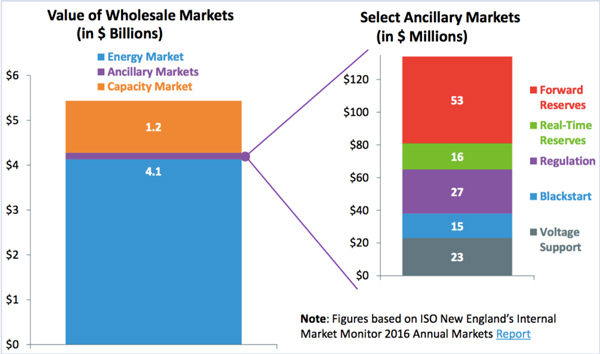 ISO-NE is working to ensure that its wholesale markets can accommodate an expected exponential growth of energy storage resources, an RTO manager said Tuesday. “We want to be sure that our wholesale markets are favorable to all resource types equally, so when we think about energy storage, we want to make sure it fits in the box,” Carissa Sedlacek, ISO-NE director of market development, said during a Dec. 5 energy storage seminar hosted by the Northeast Energy and Commerce Association in Boston. 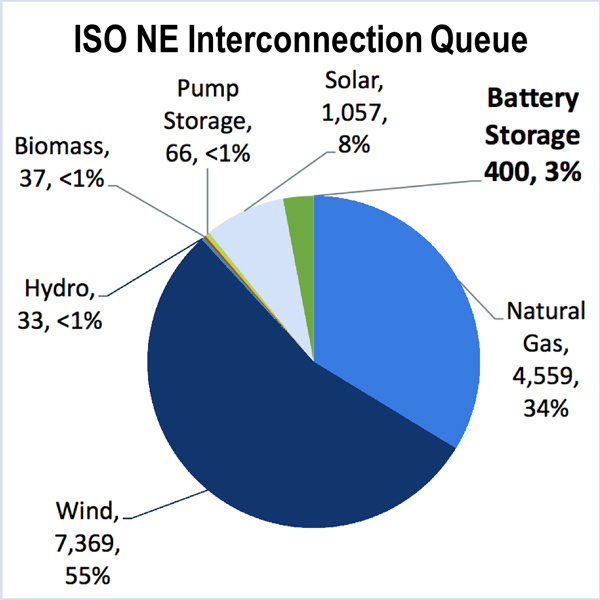 ISO-NE predicts energy storage providers will largely focus participation in the RTO’s ancillary services market because many of them are not prepared to assume the financial burden of qualifying for the Forward Capacity Market (FCM) — or to confront the risk of coming up short on a capacity supply obligation (CSO), Sedlacek said. “If you get a megawatt CSO that you cannot achieve, there will be a financial penalty,” Sedlacek said, noting that penalties go into effect June 1, 2018, leaving some storage developers “a little gun shy” about offering into the FCM. She noted that solar and wind participants in the FCM don’t typically attempt to qualify for their nameplate capacity, but only a percentage of nameplate (usually 40 to 42%) to ensure their obligation is achievable. “Because under the [FCM], you’re on the hook to provide those megawatts,” she said. 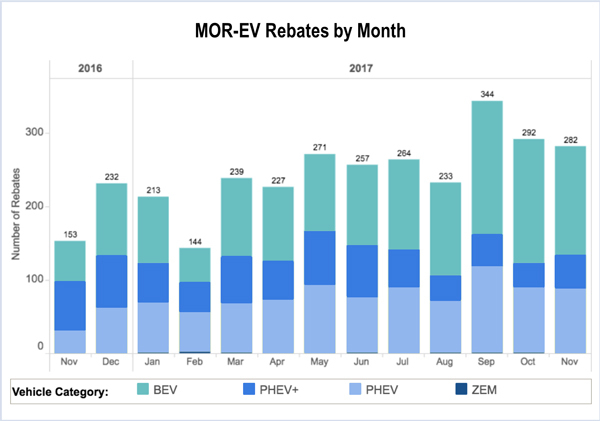 Sedlacek explained how energy storage developers might hedge their risk by pursuing incentives offered for over-performing in the FCM. ENGIE subsidiary Green Charge Networks recently signed a 20-year agreement to supply Holyoke Gas & Electric with power from the first combined solar and storage project in Massachusetts, according to Jonathan Poor, Green Charge’s director of business development. While the 5-MW solar farm on the site of the retired coal-fired Mount Tom Station in Holyoke is currently in operation, the 3-MW battery will interconnect around May 2018, Poor said. The storage project is particularly suited to organized markets in New England and New York because it will help firm up output from the solar farm and reduce capacity costs, he said. “We see, at least in New York ISO and ISO New England, some of the business case coming from wholesale market revenue,” Poor said. Future solar projects will likely include storage in the interconnection request, given the value of storage, he said. “We appreciate how holistic the [Solar Massachusetts Renewable Target] program is in Massachusetts for energy storage, and we see a real opportunity to deploy solar and storage and are looking for repeatable use cases that we can scale,” Poor said. Massachusetts Clean Energy Center CEO Stephen Pike said that most people know the state’s 2016 Energy Diversity Act for its solicitation for 9.45 TWh of clean energy, but the legislation also included an energy storage mandate, leading the state’s Department of Energy Resources earlier this year to set a 200-MWh storage target for 2020. The state’s $10 million in grant funding from its Energy Storage Initiative spurred nearly 70 proposals for storage demonstration projects, Pike said, hinting that awards could be announced within a couple of days. Richard Stuebi, president of Future Energy Advisors, said improving economics is driving the energy storage market. Most of the 700 MW of energy storage currently deployed in the U.S. is utility-scale, and California dominates with 60% of the installed base and a mandate for nearly 2 GW in storage to be operational by 2020, Stuebi said. But even places like Florida and Michigan, which Steubi hadn’t initially considered promising areas, could get interesting pretty quickly for behind-the-meter storage applications, he said. The challenge of preserving competitive markets while decarbonizing the New England economy was much on the minds of attendees at the Northeast Energy and Commerce Association’s 15th Power Markets Conference.